The enclosure is the generator's first line of defence against the elements and is important to keep in good condition. If the generator enclosure is scratched or damaged, it is important to touch up the paint to protect from future corrosion. These paint kits include the necessary paint to properly maintain or touch up a generator enclosure. A scheduled maintenance program ensures the generator system is always in top operating condition and warranty requirements are being met. Generac's scheduled maintenance kits provide all the hardware necessary to perform complete routine maintenance on a Generac automatic standby generator. Oil must be purchased separately based upon manufacturer recommendations. Maintenance is recommended at every 200 hours or 2 years. Perform a complete maintenance on your Generic liquid-cooled generator with the Generac Liquid-Cooled Generator Scheduled Maintenance Kit. This kit is compatible with 2.4-liter, 36 kW and 60 kW generators. Grey Paint Kit for Generators The enclosure is the generator's first line of defence against the elements and is important to keep in good condition. If the generator enclosure is scratched or damaged, it is important to touch up the paint to protect from future corrosion. 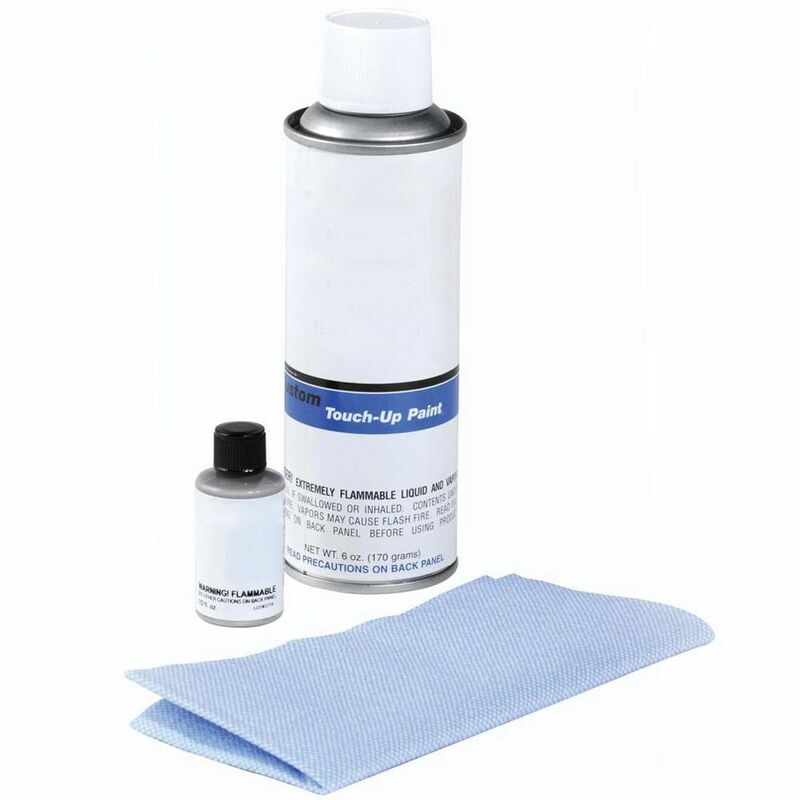 These paint kits include the necessary paint to properly maintain or touch up a generator enclosure. Grey Paint Kit for Generators is rated 3.7 out of 5 by 3. Rated 1 out of 5 by GenBuyer99362 from No quality control. Generac is currently shipping kits that have bisque (tan) brush bottles in the grey kit. Replacement had same problem. The original kit was drop shipped from Generac: grey spray can and bisque (tan) brush bottle. Both should have been grey. Even the parts list included in the box shows they included the wrong part. I called them to address the problem and they tried to put it back on Home Depot. I held my ground, reminding them that they drop shipped it and this was defective. I only needed to get the correct brush bottle, but they insisted on sending a replacement for the entire kit. The replacement kit arrived with the same problem. When I called them again, they wanted picture proof, which I sent them. It's been a week and a follow-up, but there has been no response from Generac. Simple problem with a simple fix, but they can't seem to handle it. We're buying Cummins next time. Rated 5 out of 5 by TVGURU from Great product. Perfect match for my new Generac whole house generator. Great that Home Depot carries this product. Easy shipment and value priced.